Our president, Bob Elliott, demonstrates one of our custom robots – the Endeavor Weigher 3. This custom robot is running a weighing application that’s built on our Endeavor platform. Weighing applications are one of the most common paths that J-KEM can automate. 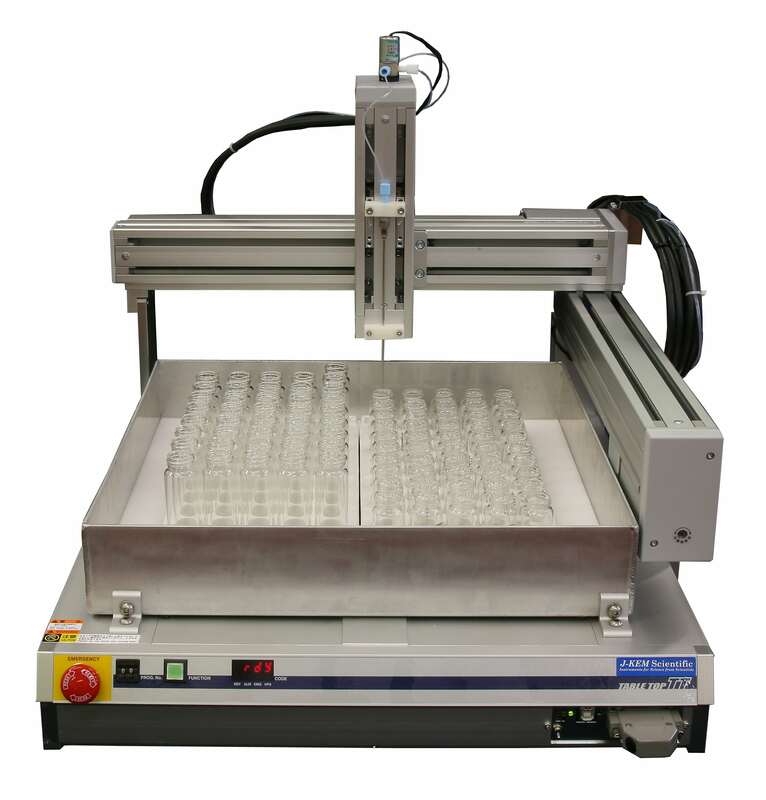 This compact robot accepts Gilson racks which can either hold 100-millimeter test tubes or Quorum milliliter vials. The robot has two barcode scanners: one for the test tubes and one for the vials. It also has a single analytical balance with 0.1 milligrams of resolution. The Endeavor Weigher 3 is the perfect robot. It’s an instrument that you can walk up to, put your racks on the deck, click the start button, and then walk away. Good robotics should be simple and perform flawlessly, freeing up your time to devote to something more creative. To find out how J-KEM Scientific can automate your weighing needs (or anything else! ), contact us.